I've tried to upload the gadget once again, but it still does not appear... Please, help me to solve this problem! It should appear shortly in the Gallery. For some reason it was set for Personal Gallery only. So it was my mistake? But it seems to me that all the checkboxes were unchecked when I uploaded the gadget... Any way, I will be more attentive now. Thank you!!!!!!!!!!!!!!!! The program crashes for me with "unhandled exception"..."The parameter is incorrect". 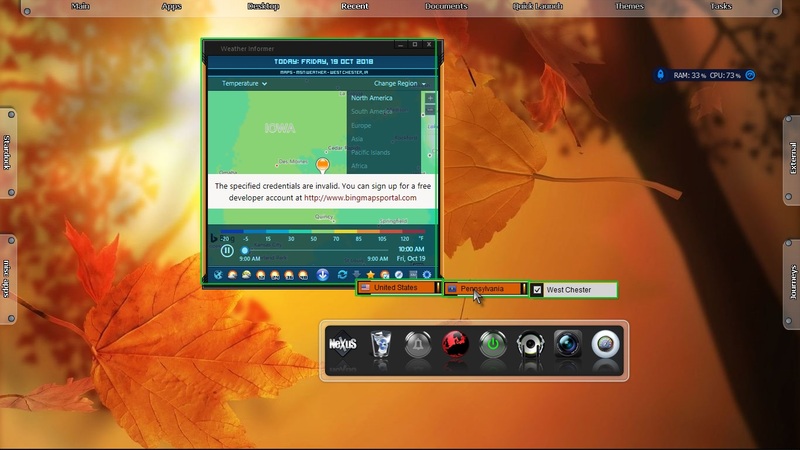 When I clicked on the exe I got a green square on the top left of my screen with the actual widget in the center. 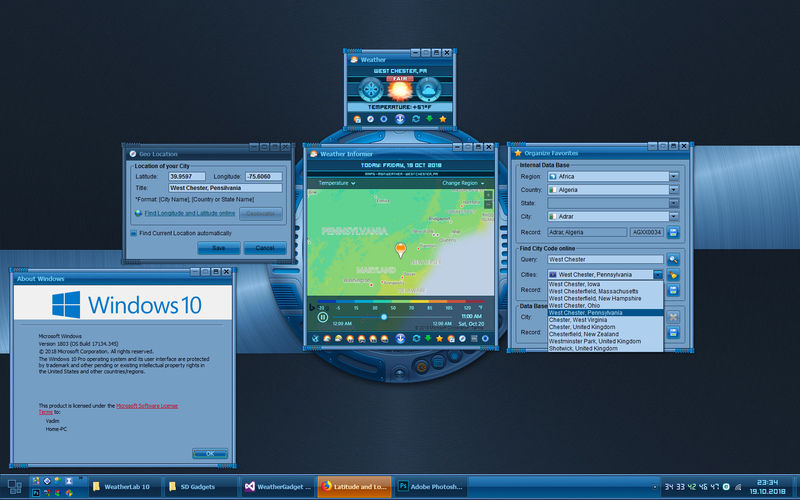 On all of the windows including the one where it say to look up longitude and latitude online which I had to copy. 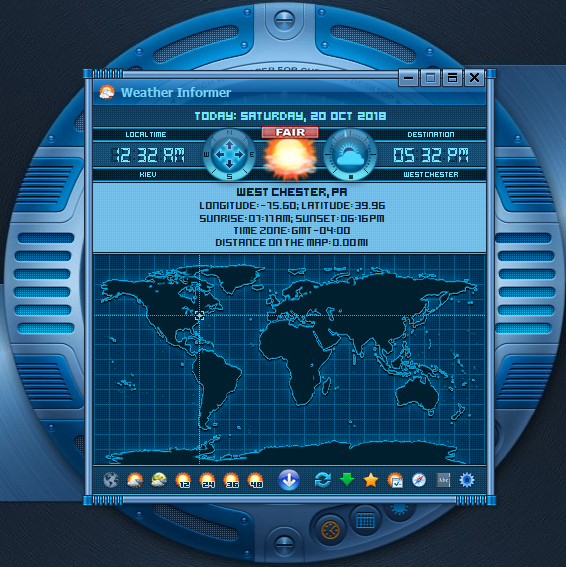 I set it up for where I live in West Chester Pa. but it gives me the weather in West Chester Iowa instead. Look at the screenshot. You can see the green border and the mismatched weather. 1. Close the gadget. Then go to "C:\Users\USER NAME\AppData\Local\SD Gadgets" and completely remove the "WeatherLab-10" folder with all content. 3. 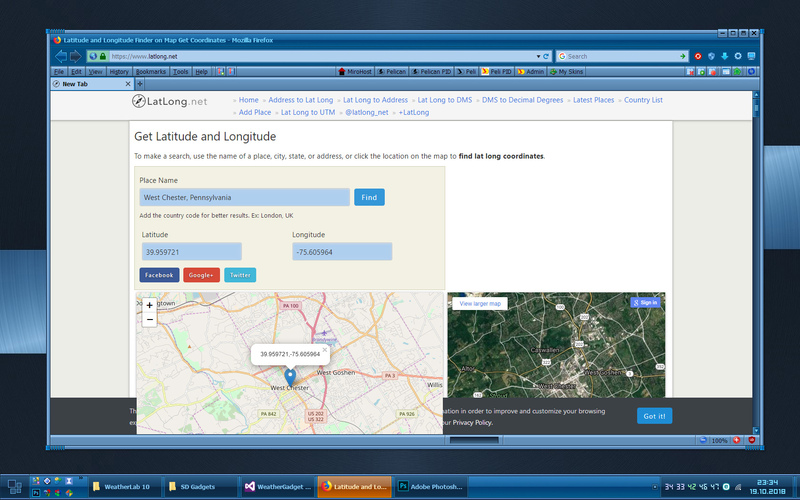 Click "Find Longitude and Latitude online". 5. 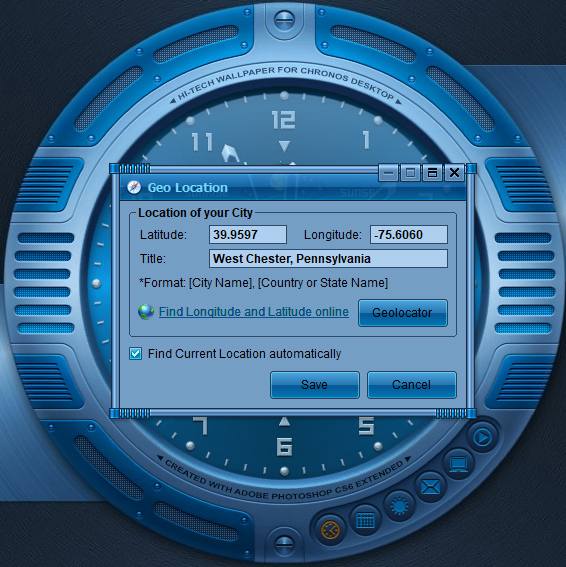 Enter the name of location "West Chester, Pennsylvania" and press Save. 7. Then press "Save" (the button with the diskette icon). Also you may remove the default "Kiev, Ukraine" location. That's all... I hope the gadget will work for you now. Thanks Vad. I'll do that and let you know. Downloaded the latest version. Still getting an unhandled exception.